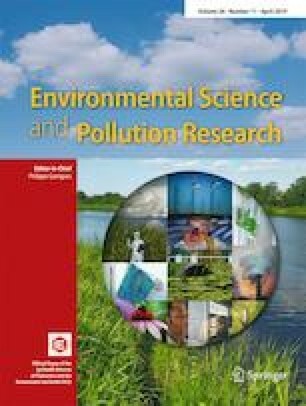 Retention and transport of sulfonamides (SAs) in subsurface can strongly affect groundwater quality. In this work, a range of laboratory batch sorption and column transport experiments were conducted to determine the effect of cation type in mixed Ca-Na systems on the retention and transport of two typical SAs, sulfadimethoxine (SDM) and sulfacetamide (SCA), in saturated limestone porous media. Column experimental data showed divalent cation Ca2+ played a more important role than monovalent cation Na+ in decreasing the transport of only SDM in co-cation systems in the saturated limestone media. Further, in the single-cation (i.e., including either Ca2+ or Na+) system, increasing ionic strength (IS) of either NaCl or CaCl2 had little effect on SCA transport; however, increasing of IS of CaCl2 promoted the retention of SDM in the saturated limestone porous media. This is mainly due to the cation bridging effect of Ca2+ on SDM and limestone. Overall, SDM showed much higher retention in the limestone columns than SCA, which can be attributed to the two SAs’ different physicochemical properties. Moreover, limestone showed stronger ability to retain the two SAs than quartz sand. Findings in this study suggest that cation type and the concentration of certain electrolyte (e.g., CaCl2) as well as medium type play an important role in controlling the environmental fate and transport of antibiotics. The online version of this article ( https://doi.org/10.1007/s11356-019-04561-z) contains supplementary material, which is available to authorized users. This study was supported by the National Key Research and Development Program of China (2018YFC0406401-2); the National Nature Science Foundation of China (41730856); the National Nature Science Foundation of China-Xinjiang Project (U1503282); and the Program B for Outstanding Ph. D candidate of Nanjing University (201802B084).